I almost lost track of this until I happened to glace over at my post count the other day, but this marks the 500th post at Disney Photoblography! For over 16 months, I've managed to churn out a photo (or more) a day, and you've been so kind as to continue to visit and provide positive encouragement and express your appreciation--all of which I am deeply appreciative for! You've told friends, given kind words on Instagram, retweeted posts, and even liked the Facebook page. So that's pretty darn cool. To have established even a little niche is something I'm proud of, but of course, I'm always aiming higher, so I hope that you can continue to do what you've been doing and keep on spreading the word. We're at 500 posts now. Here's to 500 more? 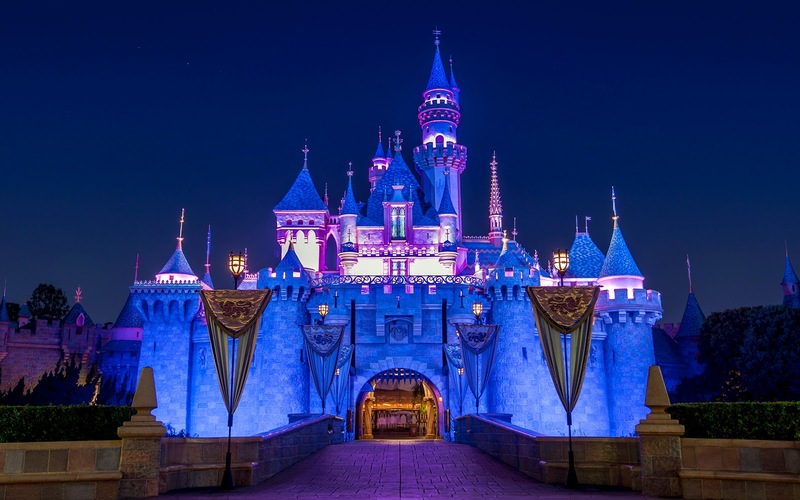 Sleeping Beauty Castle aglow at night, after everyone has gone home.